Address: 16 Finsbury Circus London, EC2M. United Kingdom. 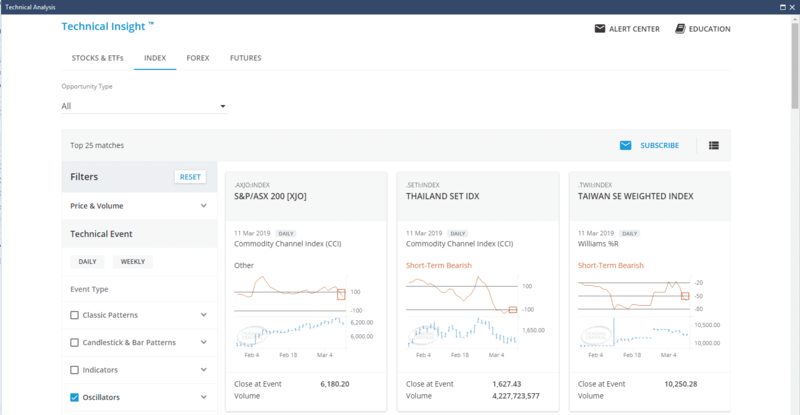 City Index is a multi-asset broker that has been operating in the markets since 1983 and is regulated in the UK (FCA), Australia (ASIC) and Singapore (MAS). From those early times, through to the current day it has prioritized developing the user experience of its traders and now has offices in London, Dubai, Shanghai, Hong Kong, Singapore and Sydney. With a reputation for being one of the top tier platforms for trading CFDs and Spread Betting it provides a wide-reaching service that is popular with both new and experienced traders in more than 150 countries. Markets offered include: stocks, indices, forex, cryptocurrencies, options, futures, commodities, bonds, interest rates and ETFs. 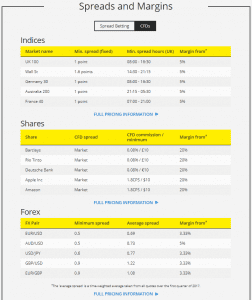 City Index is a long-established, well regulated, provider of user friendly access to the global markets. 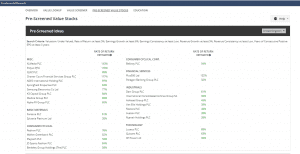 City Index spreads are comfortably in-line with those of the other multi-asset broker platforms. It offers traders fixed or variable spreads and the execution monitor (on desktop and mobile platforms) displays the spread at time of trade to ensure traders are aware of the terms of the deal. The numbers related to commissions stack up quite well with some major forex spreads coming in as tight as 0.5 pips. The pricing structure is overall fairly transparent. There are no charges applied on cash transfers and whilst accounts that are inactive for over 12 months or hold a balance lower than £12 will start picking up a monthly charge; this clearing away of dormant accounts helps the broker concentrate on supporting more active traders. The standard terms and conditions are very impressive but those that qualify for an upgrade to a VIP account will experience an across the board uplift. The preferential treatment is not restricted to just tighter spreads but carries over into improved customer service levels and invitations to social events. 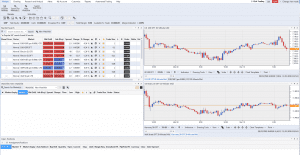 MetaTrader4 (MT4) comes with an impressive array of features, enhanced by City Index’s service, support and pricing. 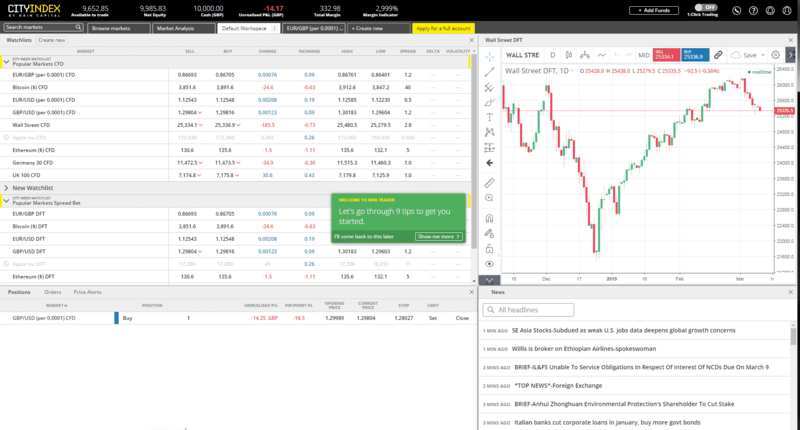 Experience intelligent tools and features to help you trade the markets. With Meta Trader4 being so popular with traders it’s no surprise to see MT4 being one of those that are made available. 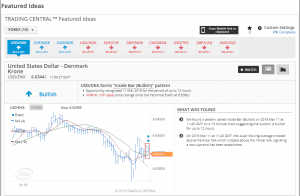 Account holders looking to trade the forex markets, might tend to steer towards using MT4. 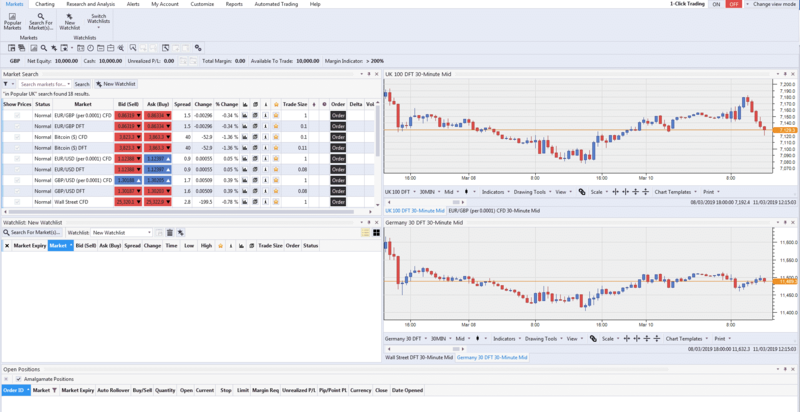 Maybe also taking up the option of using MT4s automated trading functionality or easily customizable dashboards. 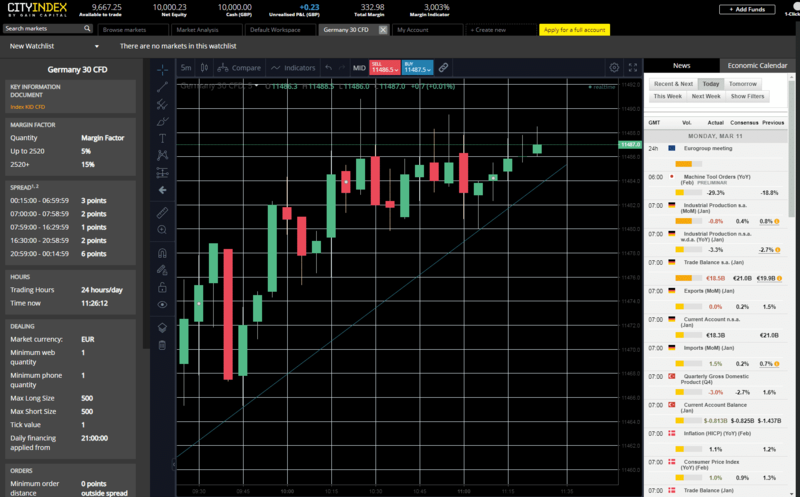 Advantage Web is a browser based platform that uses HTML5 and the latest version has only been on general release since 2018 so includes a range of recent upgrades. 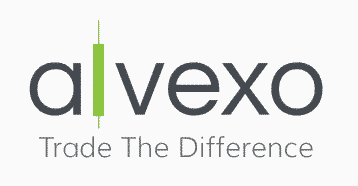 With a vast range of technical and fundamental research services available it provides a base for traders of all strategies. 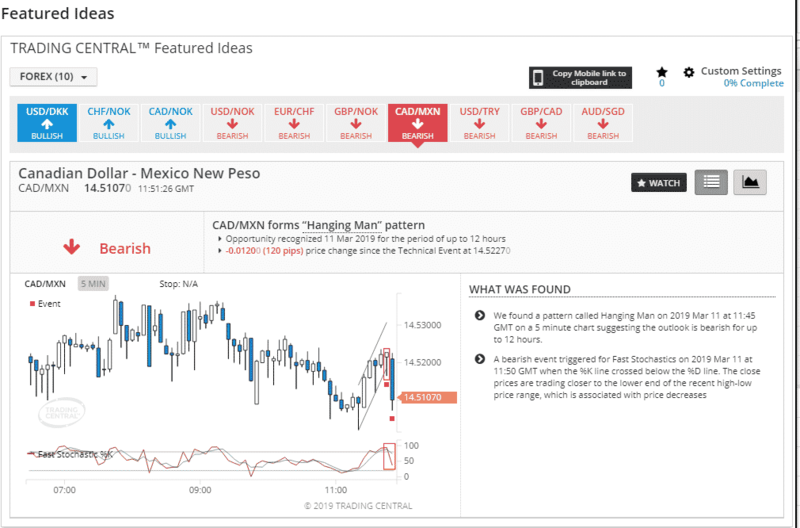 It’s user-friendly lay out making it a reliable yet exciting choice for both new and experienced traders. 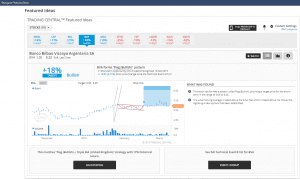 The layout of Advantage Web has a fresh clean appearance. The use of a white (rather than a black) screen as default was picked up by our testers who felt it helped them get to grips with the basic tools before toggling to and from the black background option. When using the Advantage ‘Help and support’ bar we found the ‘New Features’ section particularly useful. Being prompted about and then direct to, potentially useful upgrades, gave us confidence that we weren’t missing out on anything new and exciting. It’s also reassuring that the platform is undergoing continuous improvement. The degree of customization available is particularly positive. As well as having the option to build personalized dashboards there are some neat work-arounds to ensure the different versions are easily accessible. 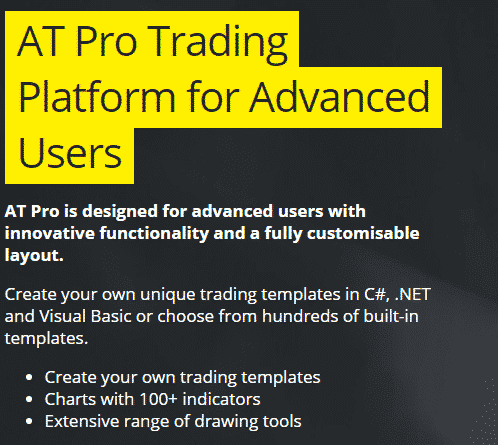 AT Pro is a downloadable platform that uses proprietary technology to deliver the tools and support associated with professional trading. 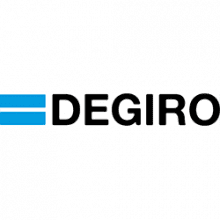 It’s a sophisticated bit of kit, as demonstrated by the presence of back testing capabilities, complex order building tools and advanced charting tools. The range of markets available is pretty impressive and includes options on indices through to individual names and indices of Chinese markets. The total number of tradeable instruments is in excess of 12,000. This compares well with the rest of the multi-asset brokers in the sector. Possibly the most interesting feature of the three platforms on offer is that all three are very good in their own way. 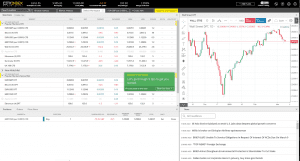 Instead of having to work with one which is obviously superior to the others, City Index users can instead choose a platform that closely matches their trading style. The Help Desk is available 24/5. When testing the Live Chat support function we still had to navigate around the road block that is their Chat Bot program. 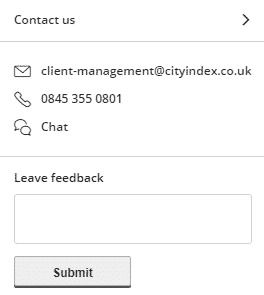 Conversations with the City Index Bot are particularly circuitous and although we were ultimately able to ‘transfer to support agent’ we would, if a query was time sensitive, feel that the quickest way to get help would be to phone the call centre. Having means of communication restricted in this way is not ideal. The site contains prompts that invite customer feedback and this request appears a sincere attempt to enhance the user experience. 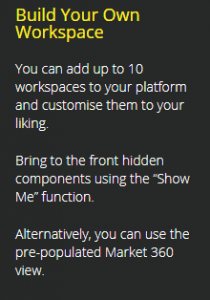 New developments to the site are notable and highlighted in the Help and Support area entitled ‘New Features’ where the upgrades are explained. A variety of research and analysis tools are incorporated into the Advantage Web dashboard. Having them close to hand when actually executing trades is certainly a plus point. Working in Demo mode it was possible to experiment and put on test positions in strategies that we might not normally follow. The trade analysis was well presented and easy to follow making this kind of hands-on learning particularly beneficial. 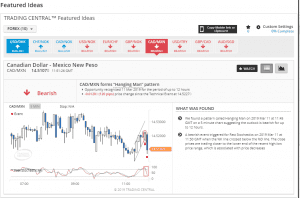 One monitor brought up a range of trade ideas based on technical analysis. Another broke the ideas down by currency pair meaning we could test out the in-house proposals in our favored markets. Whereas the web based platform specializes in ease of use, the AT Pro platform focuses on providing a more advanced research and analysis experience. 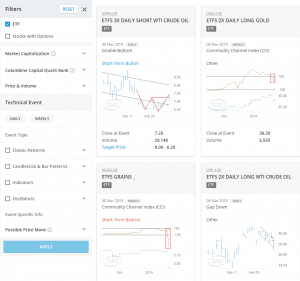 AT Pro directs traders to the type of research they favour with early signposts to areas specializing in Fundamental Research or Technical Analysis. There is a real sense of the research being up to date and pertinent. 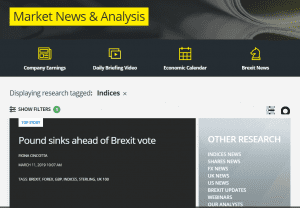 Market News provides information on Company Earnings, the Economic Calendar and a Daily Briefing Video. 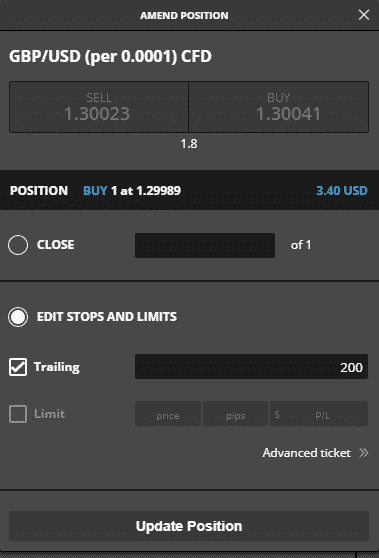 Having all this information in one place making it easy to prepare for a day’s trading. 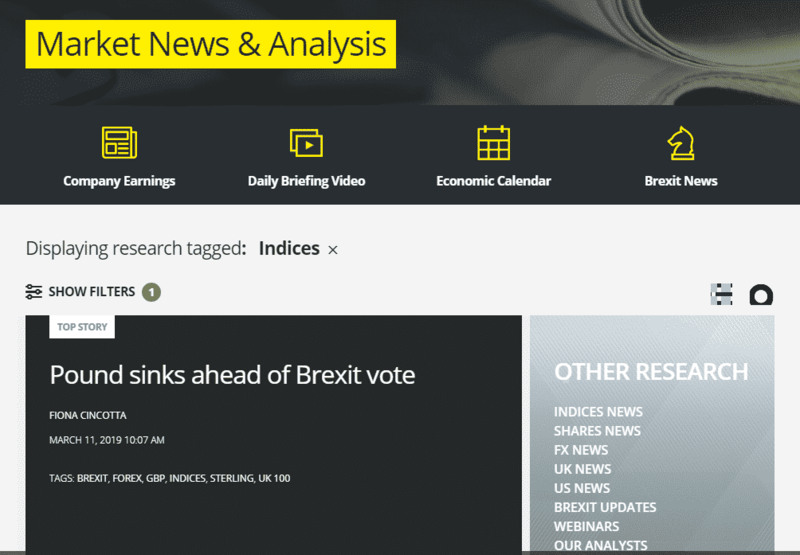 Going down one more level allows more detailed analysis of favoured topics ranging from Indices News to Brexit Updates. As well as offering all of these services, City Index through a relationship with Recognia offers further research materials and ideas. 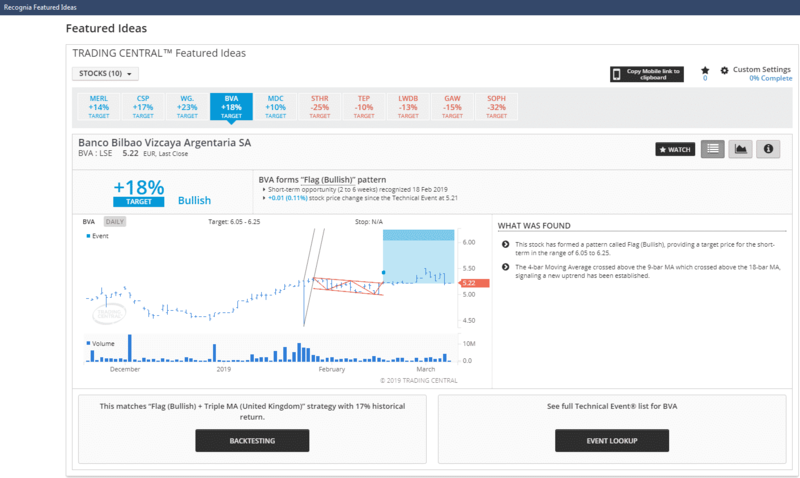 The Recognia research being broken down into: Recognia Technical Insight, Recognia Featured Ideas and Recognia Analyst Views. 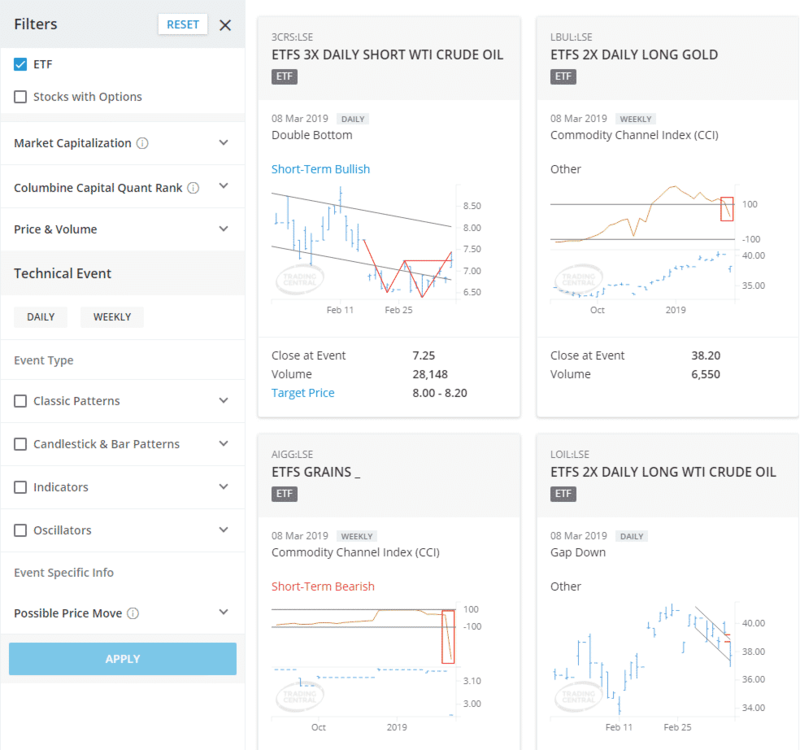 The platform again providing traders with the opportunity to focus their attention on technical or fundamental analysis. Further third-party research is available from the share-tipping Faraday Research group. 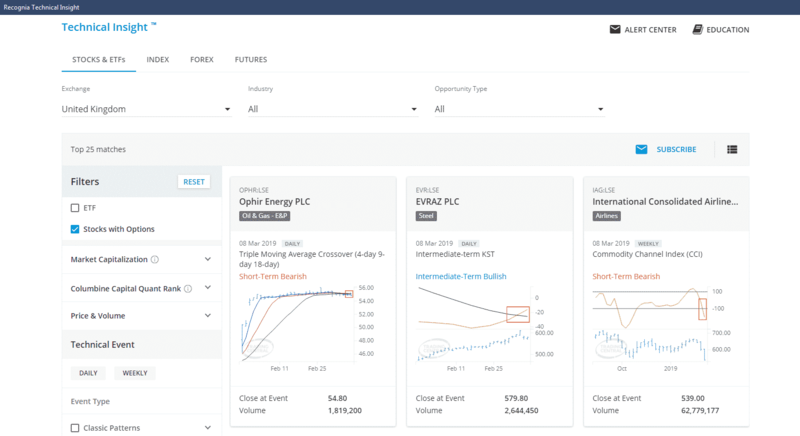 Whilst City Index and Faraday are part of the same group of companies (Gain Capital Holdings Inc) Faraday are well regarded in the market and the relationship appears sufficiently arms-length to consider the research to be taken on its merits rather than through obligation. Signing up and gaining access to Demo platforms took a matter of seconds and we were given the option of not committing to an excessive amount of follow up correspondence. The Demo account is only available for a fixed period, for example in the UK this is 12 weeks. 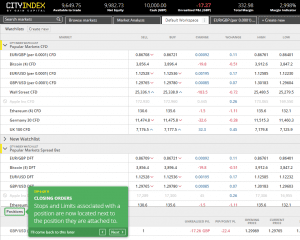 Live trading accounts require a minimum opening balance of £100 and traders can choose to open a: CFD account, a spread betting account, or indeed an account that supports both types of trading. City Index are particularly strong in the spread betting space which is a form of trading that has certain tax advantages for some account holders. 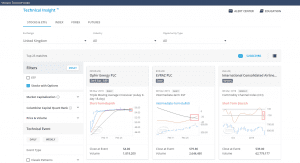 The Web Trader default dashboard is a nice clean introduction to the platform. 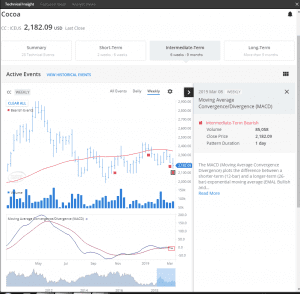 The choice of monitors is Watchlist, Chart, News and Positions which would be a particularly good foundation for a novice trader. 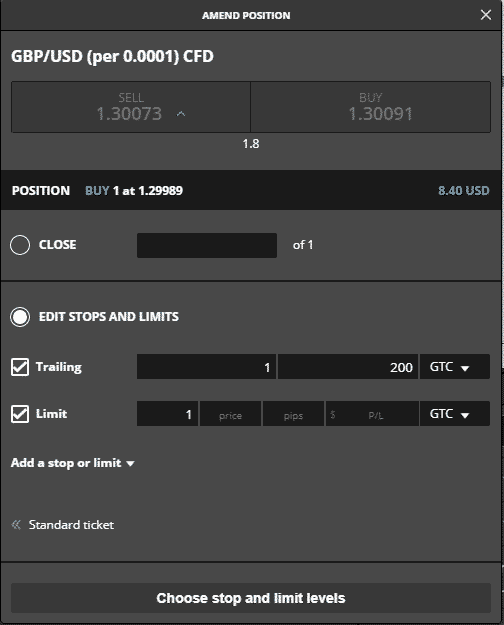 More seasoned traders would also be able to use these as a good place from where to start customizing to their own needs. 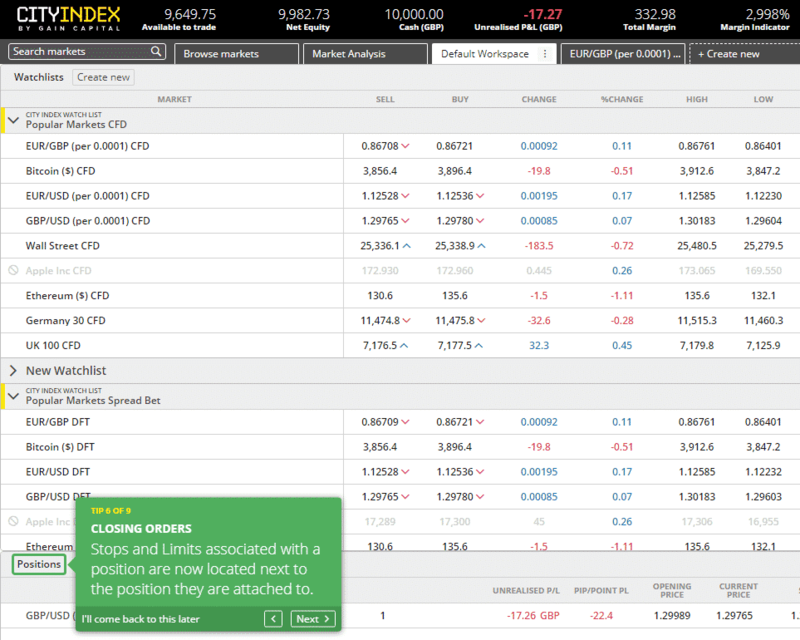 The ‘Welcome to Web Trader’ pop up window is aimed towards the less experienced trader but is worth taking as the tour takes a matter of seconds to complete and does include some useful tips. The different prompts confirm the basic layout has been well thought out and prepares users for further exploration. Management of open positions is quick and easy to do. 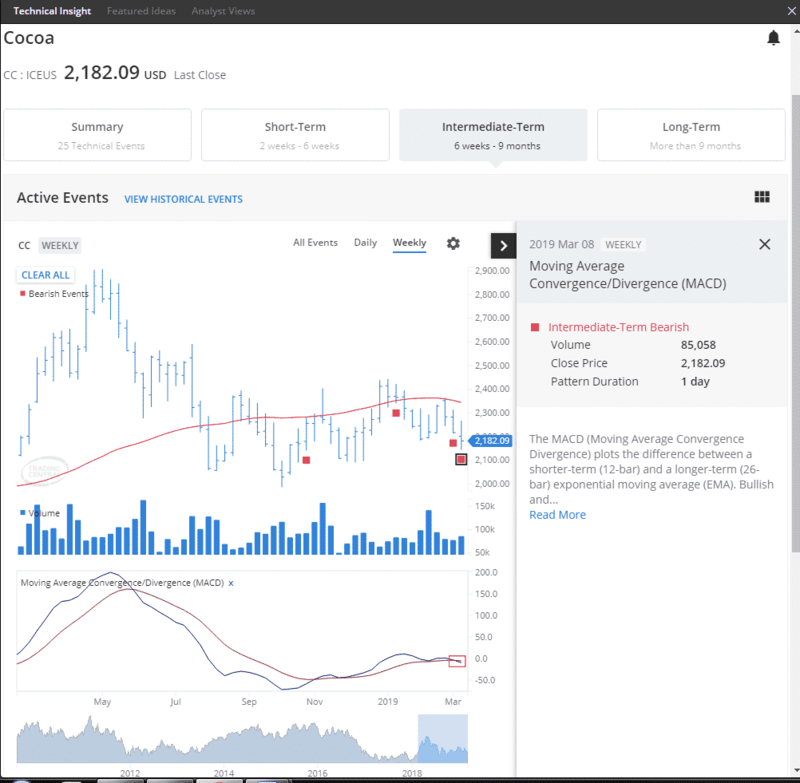 All of the more complex settings associated with order management can be applied to live positions; adjustment of stops and limits helping traders to manage their risk. It’s worth noting the ability to apply guaranteed stops exists though this comes with a commensurate fee. The AT Pro platform has to be downloaded but this was again a mere formality. Once opened it is immediately evident that this is a different proposition to the web based platform but default lay out and onward navigation are surprisingly intuitive for such a powerful piece of software. Accounts can be funded using Debit Card, Credit Card or Bank transfer and City Index apply no charges to the deposits or withdrawals. 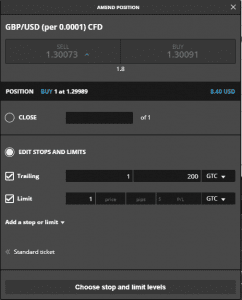 The currency used in the payment will form the base currency of the account which means traders need to think that through, but will avoid the frictional costs associated with converting one currency to the other. 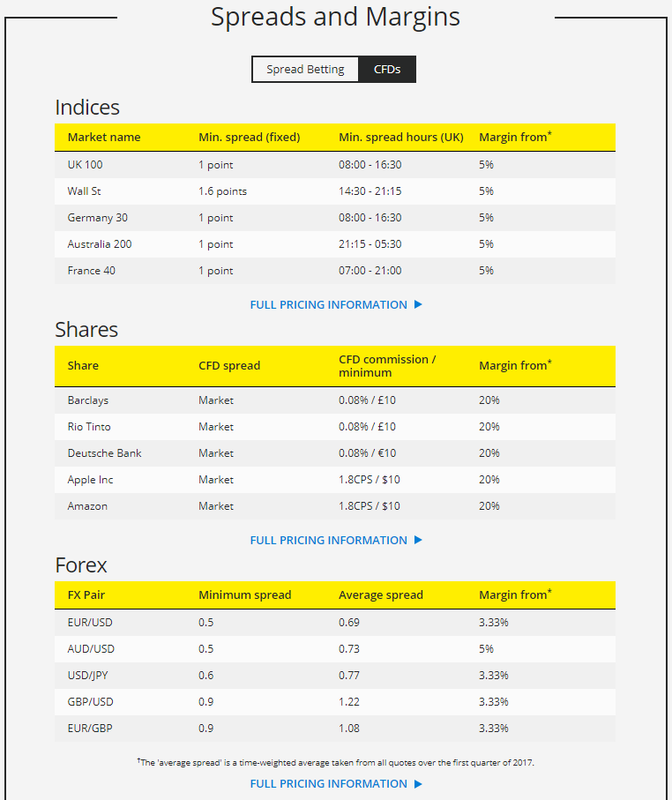 Base currencies available are: AUD, CAD, CHF, EUR, GBP, HKD, HUF, JPY, PLN, SEK, SGD and USD. City Index has been providing mobile trading since 2009. Being something of a pioneer in this space saw them being awarded Best Mobile Trading Platform award as far back as 2010 and 2011 (Money AM Online Finance). 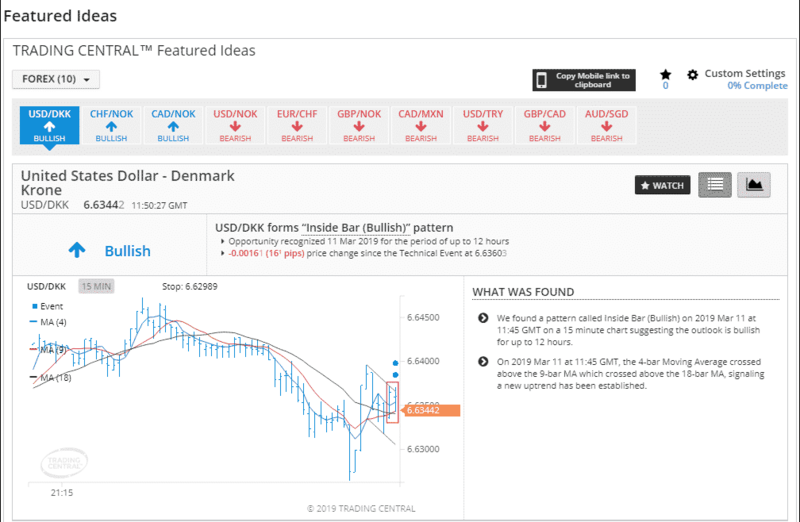 They have continued to build off that early success and today offer a fully comprehensive mobile trading service. The current version of the mobile app is a robust and streamlined means of managing your account. It even includes some of the educational and research functionality found on the desktop version. 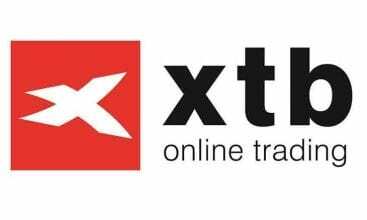 The City Index proprietary platforms prioritize supporting the stand-alone trader but account holders who want to engage in Copy trading can still do so through the MT4 platform. Those looking to develop and run their own programs will however be very appreciative of the modeling tools that come as part of the AT Pro platform. Users of AT Pro being able to set up automated trading on their own account using free to download templates formatted for use with: C#, .NET and Visual Basic (VB). City Index scores very highly in terms of regulation and corporate structuring. It is authorized and regulated by: Financial Conduct Authority (UK), Australian Securities and Investment Commission (Australia), and Monetary Authority of Singapore. Its UK approval meaning it can operate across the EU in line with MiFID regulations and UK retail customer cash balances are further protected (up to £50,000) by the UK’s Financial Services Compensation Scheme (FSCS). From an operational perspective , City Index can draw on the being part of the Gain Capital group which is one of the largest retail broking firms. In addition, the reputation it has built up over decades would be something it would want to protect which means in terms of reputational risk the interests of the firm and account holders are largely aligned. For a great number of traders City Index hits all the right buttons. 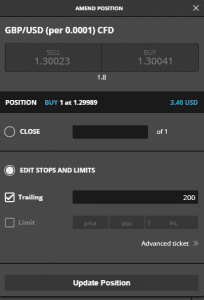 Beginners and Intermediate level traders in particular will find the offer appealing. The most advanced trader might notice one or two of their favourite tools or functions are missing, but they’d also find a few things in the City Index package that aren’t available at other brokers. The commercial side of the deal stacks up as well. The platform has competitive spreads, excellent and accessible research, a choice of high quality platforms and a very user-friendly interface. 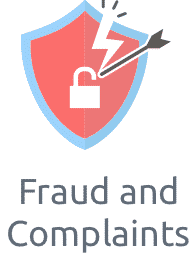 This is all backed up by stringent compliance with recognized financial authorities. 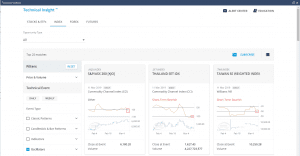 In short, City Index provides a high level user experience based upon a solid foundation; they can be easily recommended to any level of trader.